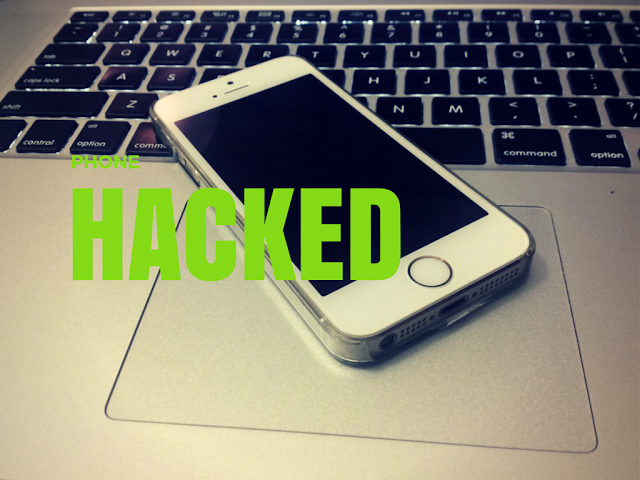 Computer hacking is common, however can your phone get hacked? I have a lot of sensitive information on my smartphone and always get worried with this thought "can hackers hack my phone?". Sometimes an android or iPhone starts acting weird and users fail to understand the root cause behind it as they are not using their phones any differently than usual. While some people still ignore it, if you find your phone behaving a little odd, then take some time out to figure out the problem and fix it instead of ignoring it. The main reason why you should be alert about your phone’s behaviour is that your phone might be hacked and your phone’s privacy may be breached. Hence, the question arises that how do you find out if your phone is actually hacked or just showing some tantrums on its own. Sometimes the bills made on your behalf can be unnoticeable in the beginning but when you figure it out, it might be too late. So, it is a wise idea to develop a habit of constantly checking your phone bill at least once a week or a month and calculate how much you have spent. Often malware are designed to send charity/donation type messages that get charged on users’ phones and the money sent is deposited in stealer’s accounts. If you often donate through phone for charities, then make sure to remember how much you donated or try to maintain a record for each donation to save yourself from being looted. Does a mobile phone battery run out too soon and too often due to presence of malware? Not necessarily, but often yes. If you notice that your phone’s battery is not lasting as much as it used to, take a while and look out for recently installed applications. Find out how much battery the new apps are consuming, and remove some apps to see if the battery is still draining out too fast. If your phone has malware, it will accelerate speed of battery drainage to a point where it becomes impossible to ignore. Whereas Trojans are observed to be battery conscious as these are basically for financial reasons and therefore, they do not want the user to feel any difference in usage. So even if your phone’s battery is not running out too soon, you should keep your eyes open for other signs and symptoms. To check if malicious applications are using your phone for sending and receiving data, audit your phone on regular basis. iPhone and Android phones are genuinely very user-friendly, and you can easily check mobile data usage in just a few clicks. Go to phone settings and check how much data has been used. If you find a big difference between the numbers actually used by you and those shown by the device, then you definitely have caught something that should be handled immediately. You should also be aware of certain free applications that are malicious and consume significant amount of phone data. It is good to ask a few people and read reviews before downloading any free app, and also keep a check on data usage after you have started using any app. Many times ticking and similar noises during a phone call are ignored by the users but they can be sign of a hacking attempt. If you are not sure whether to worry about such noises during calls, then run a check on your data usage, phone bills and battery usage for other signs of a hacking attempt. While there is always a chance that there is a problem with your phone set, if your phone calls have started being dropped without any signal issue, consider hacking as a possible reason and act accordingly. Best iPhone security apps to protect your iPhone devices. Many Good Windows phone security apps are available too. Top android security apps to secure your android devices. There are many well known spy apps in app store - e.g. checkout iPhone apps spying on you. Those apps are used for parental control and other better purposes. However there are many others that run in stealth mode and keep tracking user activity for unethical hacking. Make sure you are not having these apps on your phone. If you have lately observed that your phone is behaving weirdly or your bills have started getting higher and higher without any apparent reason, then take your phone to a reliable service centre of phone retailer to run a diagnostic test for malware detection. Though the above listed signs are sufficient for any person to figure out presence of malicious applications, visiting an expert regarding this matter will not only help you detect the problem but also help you get rid of it. Downloading apps from third-party stores has always been a risk which many mobile phone users ignore. If you really want to save your phone from malicious applications, download only those apps that are available on Apple store, Google Play Store or Amazon’s app store. There is always a possibility that certain malicious apps make their way to these stores too. So, while you are downloading apps from these stores only, make sure to get some user reviews from friends and family before using it. Sometimes it becomes impossible to stay safe from malicious apps and malware. But, it is always a good idea to gather some knowledge, like given above, to safeguard your phone before you suffer any loss. Alastair Trot is an academician and a tech-geek who provides assignment help to students working hard on tech subject. Furthermore, he shares his technical expertise with his students to make them stay a step ahead than others.